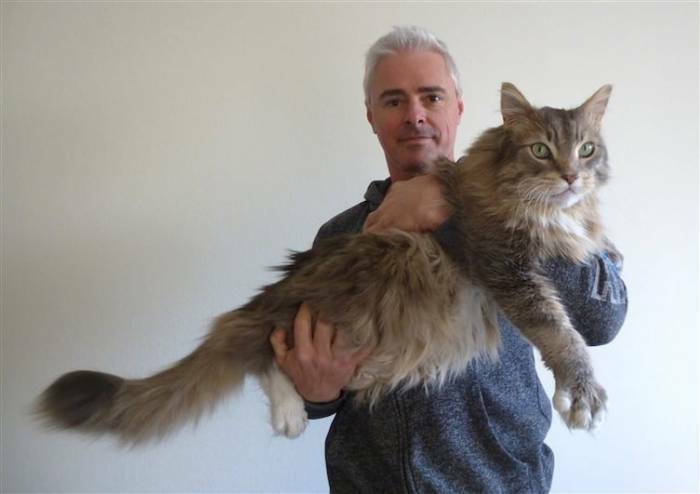 While some breeds of cats are notoriously large the general consensus is we don't expect cats to be much more than 10 to 14 pounds of fluffy love. 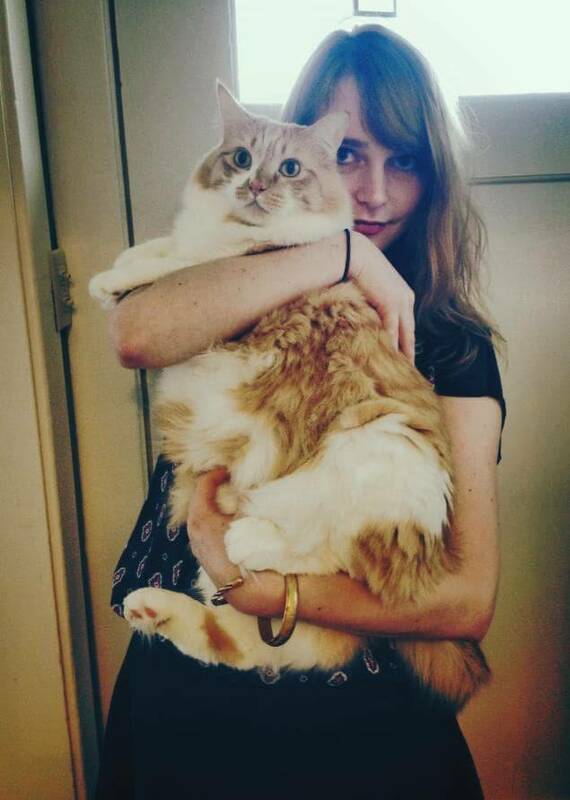 Then, even when you do take on a large breed cat you can still end up stunned by just how incredibly large they get. 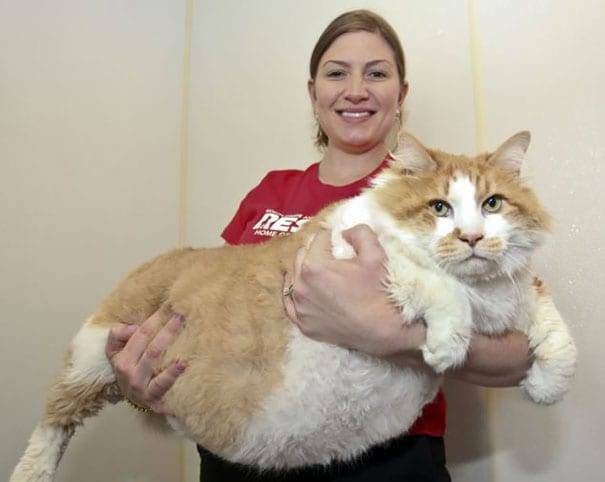 I remember when my fat cat hit 20lbs. 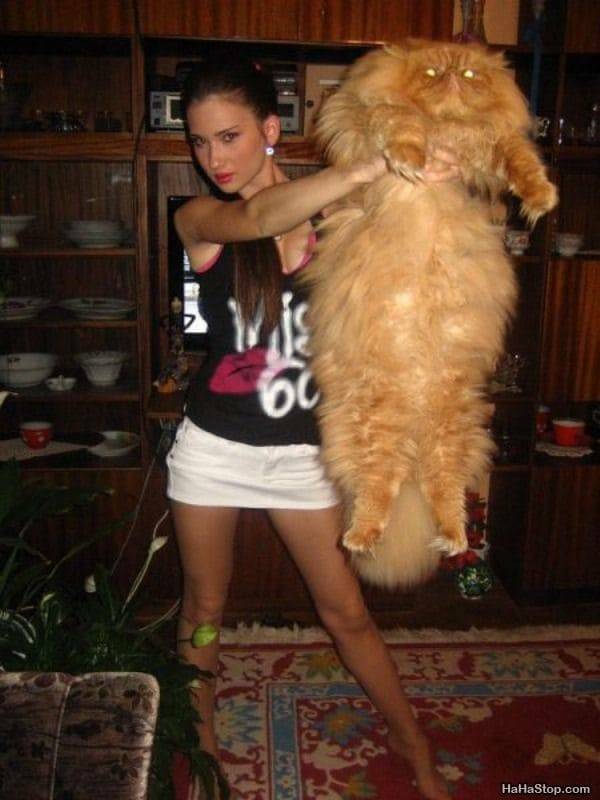 Boy, he sure was the cutest, fatest cat I'd ever seen. 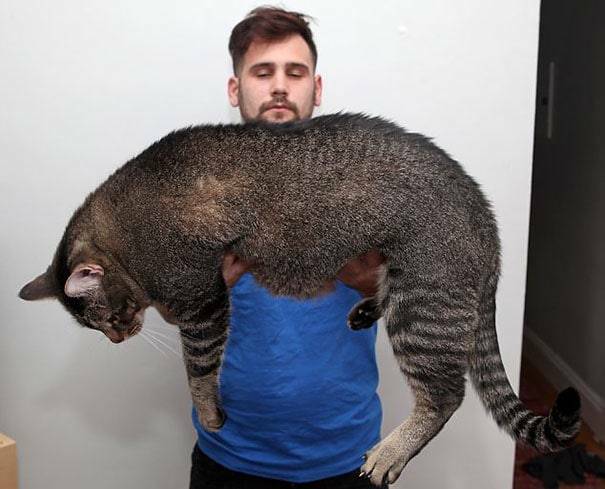 Some of the cats on this list make him look tiny and I imagine when their owners adopted them they did not expect such massive beasts to sprout from such tiny little bodies. 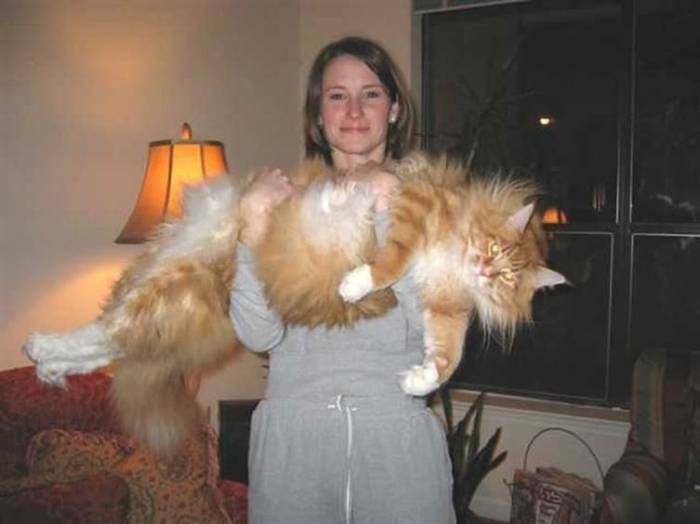 You may not even believe some of these massive cats are real but I assure you they are! 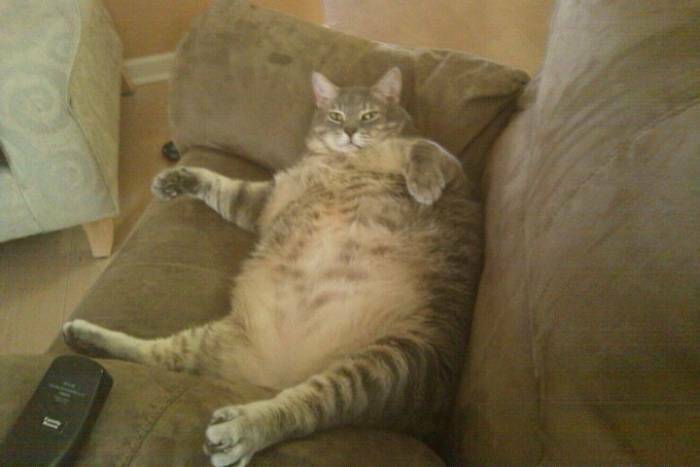 We call it the turtle effect because this fat cat is stuck on it's fat back. If ever there was a face to describe being apathetic about weight, this is it. This is how you vogue. Especially when we're talking about big cats. 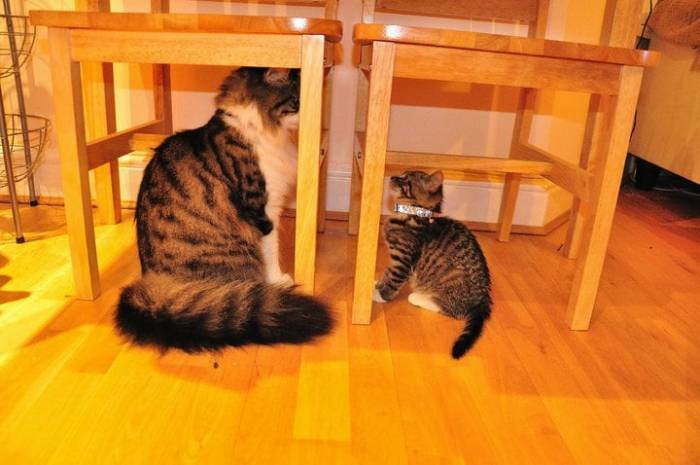 Normal sized cat meets giant cat, hilarity ensues. 7. 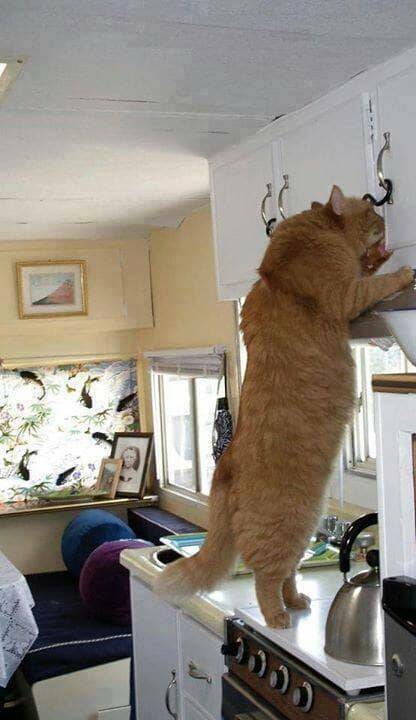 Look, it's diet time. 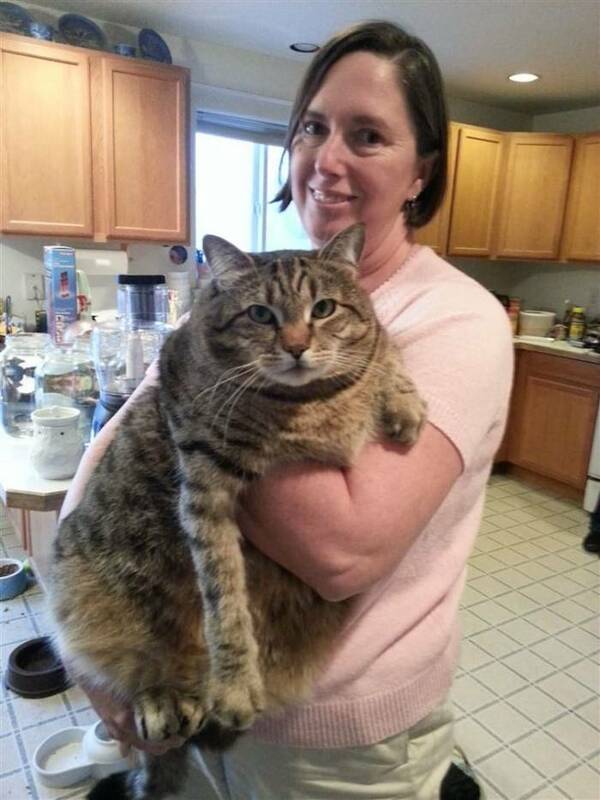 Fluffy doesn't need three bowls of food, ok? You're certainly big enough to do so. 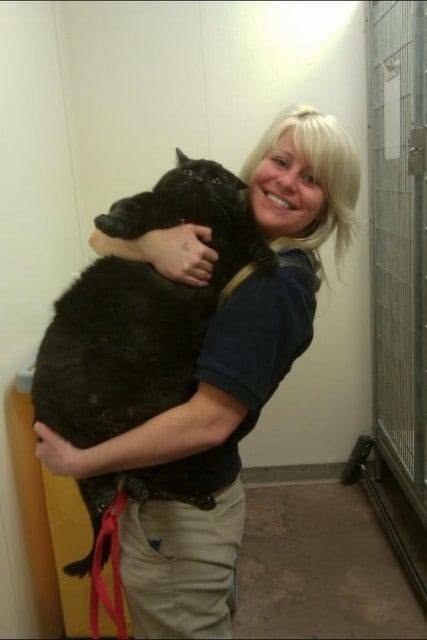 This cat looks like he realized he made a terrible mistake when his eating got out of control. 11. Bro, do you even lift? Another day, another lunch makes kitty happy. 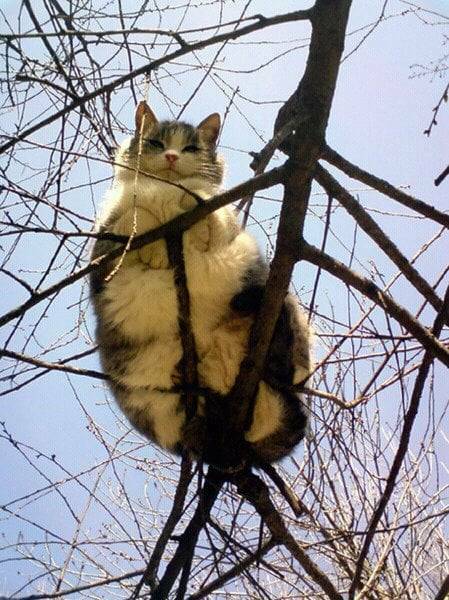 How this fat cat is still up there is a mystery to us. 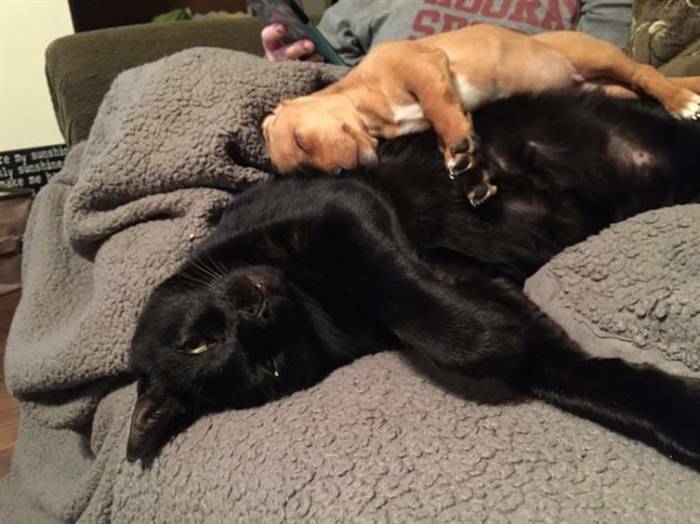 I've never seen a cat big enough to be a bed for a pupper. 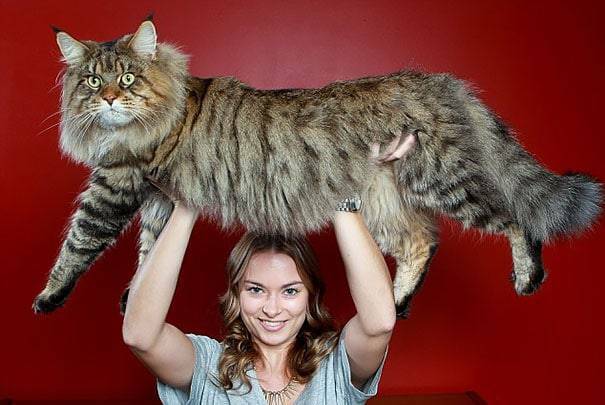 The Earth might quake when this cat roams. 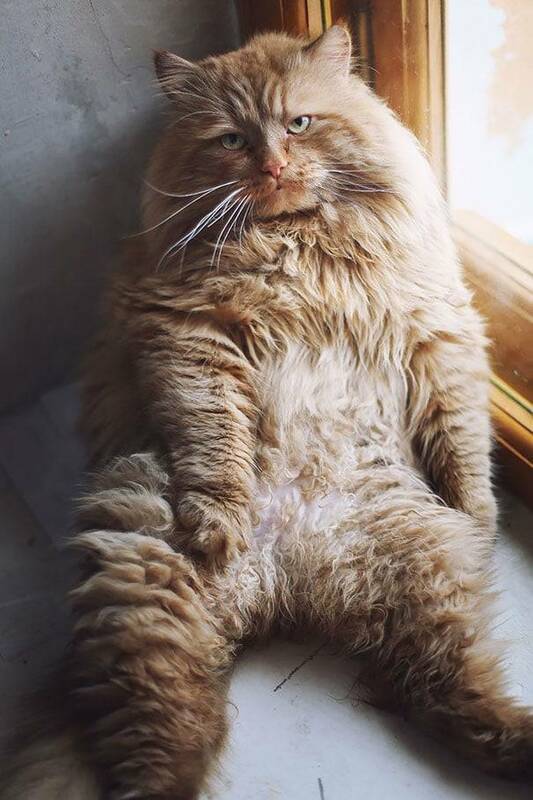 This cat has enough tummy for all of us.